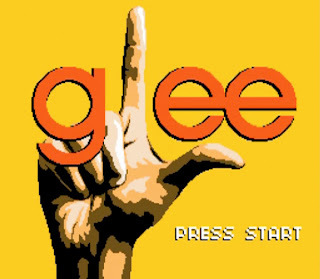 Behold: a Pokémon-style interactive video game based on Glee! Watch the opening sequence and at the end, you get to choose how Mr. Schue proceeds. I especially love the locker room level with Finn and Schue ("How about if I plant these drugs in your locker?"... "Okay, I'll join"). And the video game music just makes me smile. If you'd like a helpful tip - don't tell Mr. Schue to do Barbershop, no matter how much you hate when he raps. And if you can get as far as the 8-bit "Bad Romance," "Bohemian Rhapsody," and "Don't Stop Believin'"... it's totally worth it. Stay tuned for more Glee-ful posts as we get closer and closer to tomorrow's premiere. I'm Gleeking out!